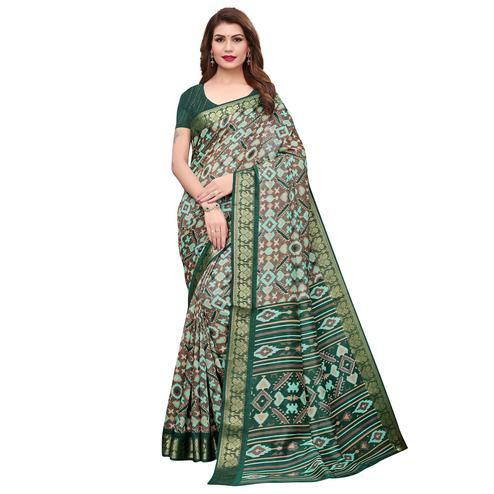 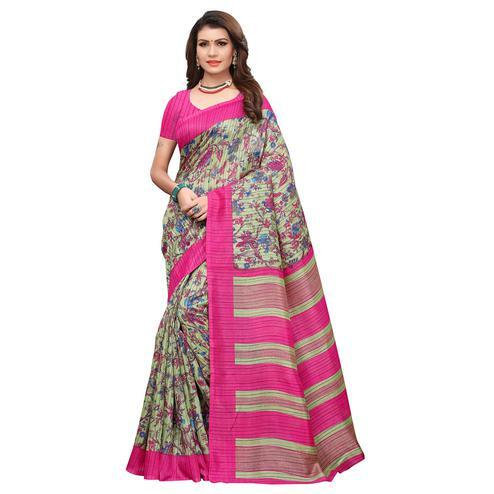 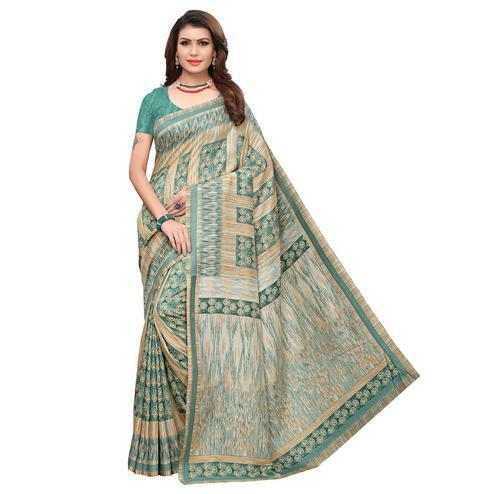 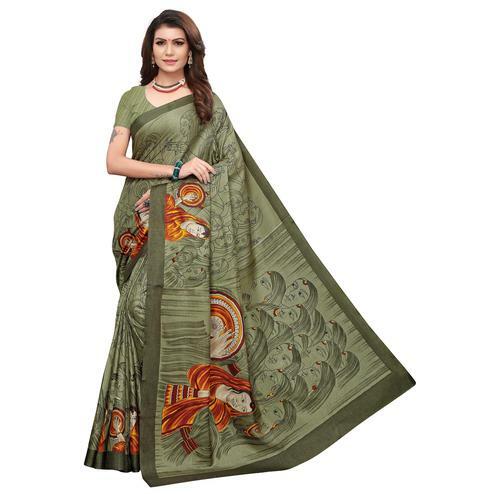 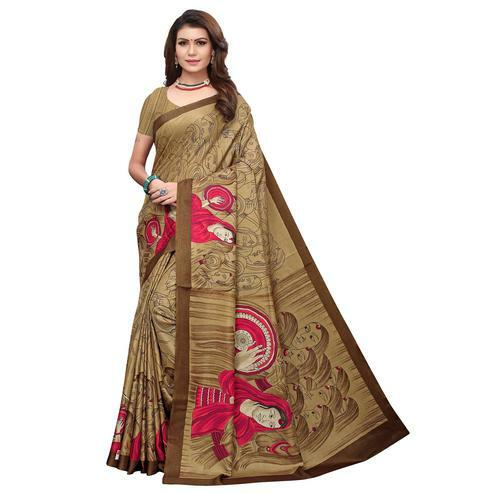 Make the heads turn when you costume up with this pretty green bhagalpuri silk saree. 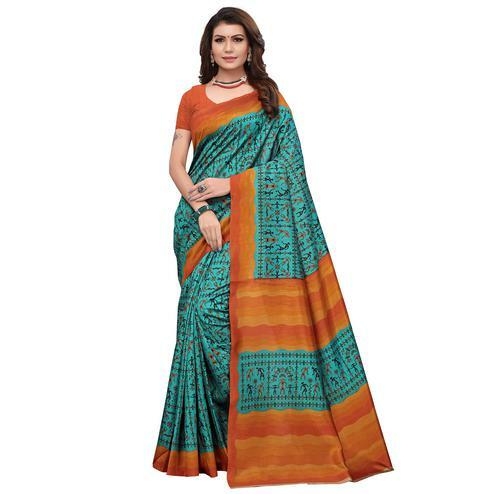 Beautified with warli print all synchronized properly with all the trend and style of the attire. 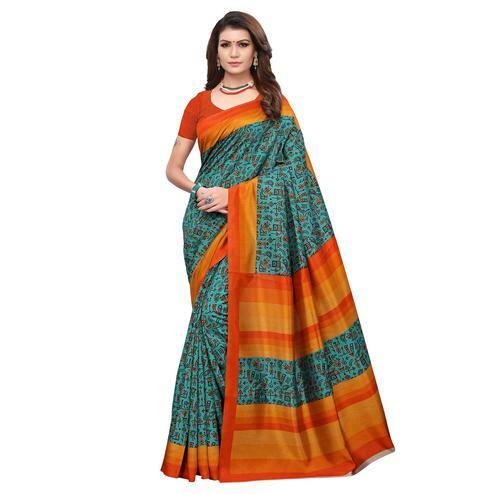 Comes with matching unstitched blouse.